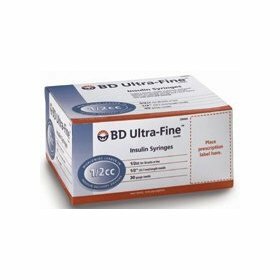 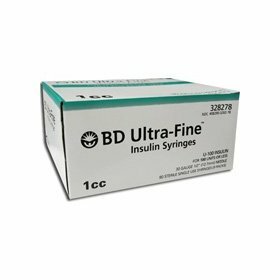 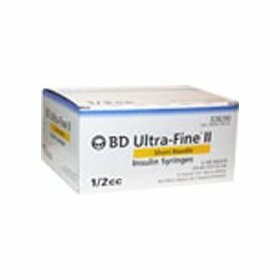 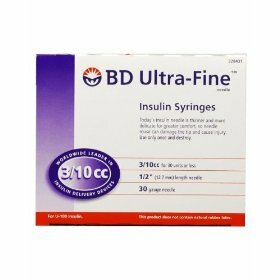 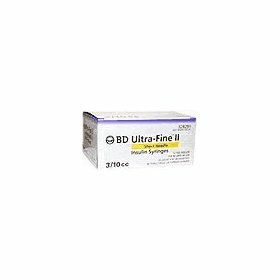 Insulin Syringes - BD Ultra-Fine II Short Needle 90ct 3/10cc 31g Short Needle 90ct U-100 INSULIN For 30 Units or Less 31-Gauge 5/16" (8mm) Needle 90 Sterile Single Use Syringes (9 packs) NDC #08290328291 All BD insulin syringes are... 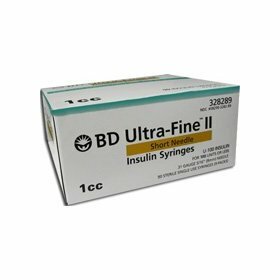 Engineered with optimal point geometry for maximum comfort and reliability Coated with special Micro-Bonded lubrication for a more comfortable injection Manufactured with a special surgical grade of stainless steel Subject to 100% needle point inspection to assure consistent high quality Non-toxic non-pyrogenic and DO NOT CONTAIN LATEX or natural rubber latex Please consult with your Health Care Professional before using this product. 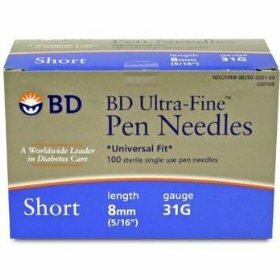 We may require the order of a Physician for this item depending on the shipto State or County. 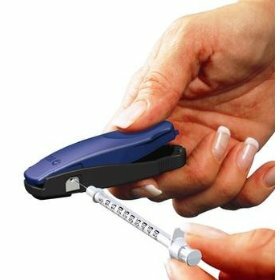 To ensure maximum safety and comfort you should never use a syringe more than once. 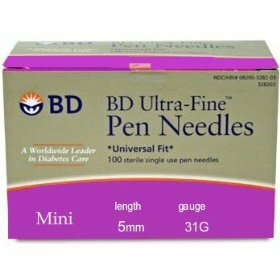 For more details read about the risks of needle reuse.